Some species of streptococci are unique in that they are classified or grouped according to the antigenic structure of their cell walls. Ever wondered how this was discovered? In this article, we will explore the history of how strep grouping came to be in common usage today. The genus Streptococcus contains many pathogens from numerous body sites. Over 50 species of these gram-positive cocci are currently recognized. From a clinical perspective, Streptococcus species are separated into two major groups: alpha- and betahemolytic for their characteristic growth on Blood Agar plates. A well-known example of alpha-hemolytic Streptococcus is Streptococcus pneumoniae, which causes inflammatory conditions such as otitis media, sinus infections, and even meningitis or sepsis. Other alpha-hemolytic streptococci include the viridans streptococci, which are normally commensal and rarely cause disease, with a notable exception being subacute bacterial endocarditis. S. pneumoniae is easily distinguished from other Streptococci by its alpha hemolysis, sensitivity to optochin, and solubility in bile. The other major group of streptococci, the beta-hemolytic streps, are rather difficult to differentiate based on biochemical tests alone. They all produce streptolysin, which is responsible for their ability to lyse blood cells, and can typically be pathogenic to humans and other animals. serogroups of beta hemolytic strep. Originally termed Streptococcus hemolyticus as a group, it was apparent in the early 1900’s that these organisms warranted further classification. It was this realization that led Rebecca Lancefield to perform her groundbreaking work on classifying these organisms into 18 categories that would later be known as “Lancefield Groupings.” These groupings provide the basis for identification of these potentially dangerous organisms that we use today. Rebecca Craighill Lancefield was born in Staten Island, New York in 1895 to a colonel in the U.S. Army Corps of Engineers. She spent her childhood travelling from city to city as many children of military families often do. She originally studied English at Wellesley College in Massachusetts. Sparked by an interest in a zoology class, Lancefield changed her major and pursued graduate work at Columbia University in the field of bacteriology. Upon obtaining her master’s degree at Columbia, Lancefield was offered a position at the Rockefeller Institute for Medical Research as a technical assistant in the lab of Dr. Alphonse Dochez, who discovered that the common cold was caused by a virus, and Dr. Oswald Avery, one of the fathers of immunochemistry, and whose team discovered that DNA is the molecule that encodes genetic information. Lancefield remained at the Rockefeller Institute (now the Rockefeller University) for 40 years until she retired in 1965. Her early work focused on pneumococcus, but quickly shifted to research on the various Streptococcus hemolyticus outbreaks at military facilities during World War I. It was not known at the time whether the infections were due to a single virulent species, or the result of a group of distinct separate species previously categorized as one group. Lancefield’s work was inspired by Dr. Avery’s earlier work using serological methods to agglutinate and identify pneumococcus species. Within a year, Rebecca Lancefield’s diligent work initially identified four distinct serogroups of streptococci which composed 70% of 125 initial strains under study. As a co-author, she, Dr. Dochez and Dr. Avery published their landmark findings in the Journal of Experimental Medicine on June 1 of 1919. She concluded: “By the reaction of ‘agglutination,’ four distinct immunological types and a certain number of unclassifiable strains have been discovered among the 125 strains studied. Individuals of the same type are closely related to one another immunologically, and the different types can be sharply distinguished one from the other.” The strains have been saved to this day and some became reference strains for Group A streptococci in the Lancefield collection. Lancefield’s work involved preparing antigens by collecting bacteria centrifuged from broth cultures for 18 hours, and resuspending them in an HCl/NaCl mixture. The mixture was then heated, neutralized with NaOH and the precipitate discarded. The resulting supernatant would contain the antigen mixture Lancefield used for her precipitin tests. The antigen mixture could be concentrated by using consecutive overnight treatments of a sodium acetate/alcohol precipitation. 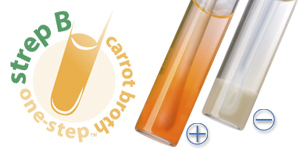 The antibodies Lancefield used were prepared by inoculating rabbits with heat-killed broth cultures, followed by inoculation with live cultures. 6- 8 weeks later, the rabbit serum was collected and could be used for agglutination tests. Because non-specific precipitin reactions with antigens of heterologous strains mixed with the pure serum, an adsorption treatment was necessary. This involved mixing antigens of the heterologous strains with the inoculated rabbit serum and allowing the precipitin reaction to occur, thus cleaning out any non-specific antibodies as well as any other agglutinating factors in the serum. The result was a clean serum that was type-specific for the antigen of the organism that the rabbit was originally inoculated with. 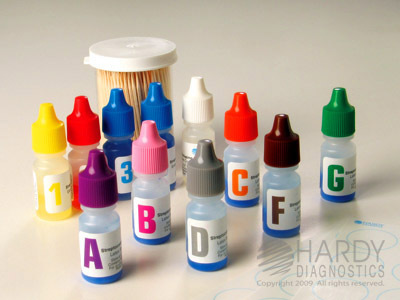 These sera could be used to characterize unknown Streptococci into serogroups. Lancefield later pursued her Ph.D at Columbia University on the study of viridans streptococci and their possible link to rheumatic fever. Lancefield’s work contributed to discredit this link. From 1924-1928, Lancefield discovered two different types of antigenic targets within Streptococcus hemolyticus. One was the M protein, associated with the ‘matte’ appearance of colonies when grown on agar and is related to virulence. Streptococcus pyogenes produces this protein, which is associated with cross-reactivity with heart muscle tissue, and is the true causative agent of rheumatic fever. The other antigenic target Lancefield discovered was the C carbohydrate. It quickly became apparent that the C carbohydrate could be used to distinguish between certain species of streptococci. For example, it was noticed that streptococci from throat infections shared a C carbohydrate that was serologically distinct from the C carbohydrate of streptococci isolated from bovine mastitis and both were distinct from strains isolated from equine strangles. It seemed that streptococcal disease and C carbohydrate type were correlated. Four years of Lancefield’s work with the M protein and C carbohydrate culminated in 1928 with the rapid publication of seven papers in the Journal of Experimental Medicine. Initially, the human strains of streptococci that shared a C antigen were termed “Group A.” Group B streptococci were initially isolated and classified from bovine sources. Group C streptococci were isolated from an epizootic in guinea pigs. 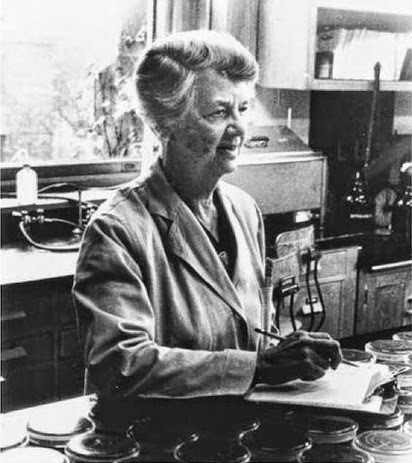 Starting in 1938, Dr. Lancefield also was able to classify the Group B Streptococci into “types” according to their capsular polysaccharides (similar to her work with pneumococcus). Later, Lancefield was also able to show that white blood cells were unable to engulf bacteria possessing M protein, thus initially evading the host’s immune defense. Furthermore, when M protein protection was overcome by specific antibodies, the antigenic reaction was type-specific, meaning that an immune response of one serotype of S. pyogenes did not confer lasting protection to the more than 60 other known types of S. pyogenes. By 1940, her work led to the serological grouping of betahemolytic streptococci known as Lancefield’s groupings (A-H, L and M). Her contributions toward our understanding of pathogenic streptococci are innumerable and have shaped the way we identify and treat streptococcal infections. In addition, they provide the basis for the epidemiological study of streptococcal groups. Through and beyond World War II, Dr. Lancefield’s lab earned the name “The Scotland Yard of Streptococcal Mysteries,” and was sent thousands of strains of streptococci for analysis and study. Dr. Lancefield’s team diligently worked through these strains and her work is still kept in several volumes of notebooks, mostly written in her own hand. Her bibliography comprises more than 50 publications over 60 years. Dr. Lancefield’s accolades include (but are not limited to) president of the Society of American Bacteriologists, president of the American Association of Immunologists, recipient of the American Heart Association Achievement Award, election to the National Academy of Sciences, recipient of honorary degrees from Rockefeller University and Wellesley College, the New York Academy of Medicine Medal. National and International organizations of streptococcal study have renamed themselves “The Lancefield Society” in Dr. Lancefield’s honor. At 86 years of age, Dr. Lancefield died in March of 1981 at her home in New York, leaving a significant legacy of scientific findings. She was well known for her helpful attitude towards colleagues and coworkers. She freely shared the fruits of her lab’s work and it is said that “a visitor with an interest in streptococcal problems would leave with a thorough indoctrination and with most of his questions answered—as well as with a collection of cultures of reference streptococcal strains and samples of the relevant antisera.” She has been a role model for young women considering a career in science. Due to her success in the lab, she advanced the role of women as leaders in science. Finally, as a testament to Dr. Lancefield’s personal character and generosity, as well as her team-building skills, Science Friday published her recipe for Egg Nog, which she made a tradition of preparing with her lab workers before Thanksgiving every year and served at their annual Christmas party. Reportedly, this tradition continues today in the same lab.We hope you enjoy! Beat eggs, add bourbon and rum slowly with stirring to prevent precipitation of egg proteins. Beat heavy cream separately until it peaks and add to the egg/bourbon/rum mix. Add the light cream with stirring. Add the sugar to taste with mixing (1 pound/batch), then add nutmeg to taste. Leave standing at least overnight with lid slightly ajar in refrigerator. Serve after 2-3 weeks in the cold. Written by: Christopher Massey, Santa Maria, CA, June 2015. 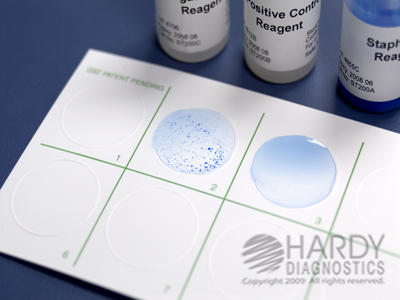 Christopher Massey is the Research and Development Manager at Hardy Diagnostics. This entry was posted in Looking to the Past and tagged grouping, lancefield, latex, rebecca, rebecca lancefield, serogrouping, serological, STREPPRO, streptococcus. Bookmark the permalink. ← Contaminated Cantaloupes! Listeria on the Loose.